Khin Myo Wai is married and has two daughters aged 6 and 13. Her husband and her brother together work the family land of 5 acres cultivating rice and mung bean. 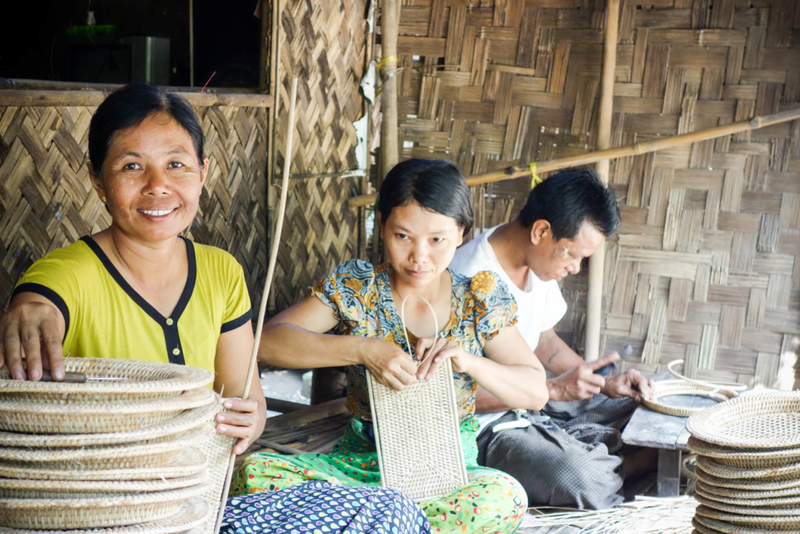 In addition, Khin Myo Wai has started a home-based rope-making business with an ECLOF loan. She employs her father who makes ropes from reed. The income she has earned from the family business over time has allowed her to pay school fees, dig a shallow well and upgrade their home’s roof from palm tree to metal sheets. It also enables her to sustain her disabled sister in law. In 2015, the family was able to make their contribution to the village electrification.